Pour 4 tablespoons of boiling water in a large bowl and sprinkle over the gelatine. Stir until dissolved and then set aside. Slice off the top and the bottom from the orange, then slice off the skin taking away as much of the pith as possible. Slice in between each segment to release the flesh and place in a bowl with any juice that falls. Core and finely chop the apple and toss in the lemon juice to prevent browning. Mix with the orange segments and divide between four serving glasses. 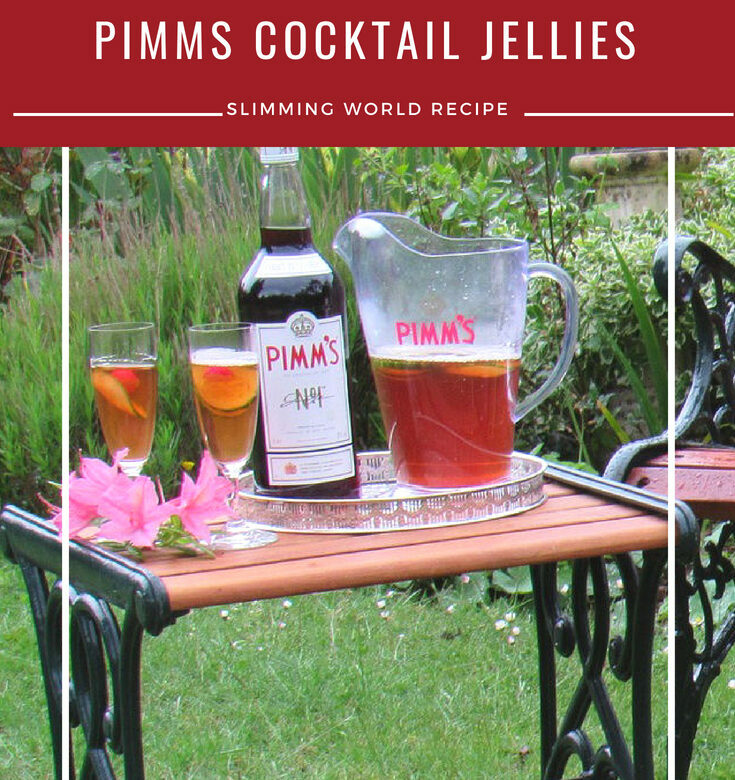 Mix the Pimms with the gelatine and lemonade and pour over the fruit. Chill for 1-2 hours until set. Serve decorated with slices of lemon and cucumber, and sprigs of mint.